In southern Michigan, near the Indiana border, sits the small town of Coldwater, MI. It is the county seat of Branch County and the home of multiple exciting annual events and unique and historical sites, such as the Little River Railroad (one of the oldest in Michigan), the Tibbits Opera House (built in 1882), the Capris Drive-In Theater, and several beautiful lakes that are popular to the vacationers in the summer time. The city also plays host to the Community Health Center of Branch County, a county-owned hospital that has been part of the community since 1939. Since this time, the hospital has come to be a staple of the community. According to the hospital’s website, over 100 physicians are associated with CHC, and patients here can receive a wide range of services, including surgery, general internal medicine, outpatient services, a full laboratory, radiology & emergency departments, and much more. It is a major employer in the county with over 600 employees. Yet, in recent years, CHC has fallen on some hard times. After operating in the red for several months and running deficits with the county employee pension plan, the hospital had $12 million in liabilities, with $23 million in the Michigan Employee Retirement System that would also need to be fronted somehow. To fix this issue, the board of trustees sought strategic partnerships and purchase deals with other healthcare organizations, including major, for-profit systems. Several offers were made, but the deals fell through and the hospital pressed forward. 2015 has proved to be a much better year for the beleaguered community hospital; after cutting operating expenses, it saw several months in the black. As of June of this year, it seemed that CHC was on track towards a break-even year for 2015, but its debt and liabilities still stand. CEO Randy Degroot and the Board of Trustees continue to search for strategic partners, and a letter of intent has been approved that would enter CHC into a management agreement with ProMedica Health Systems, a nonprofit organization out of Toledo, OH. If this were to go through, it would mean that this small community hospital would potentially (or even likely) cease to be the Community Health Center of Branch County and become simply the Coldwater, MI branch of the larger ProMedica network. This is not necessarily a bad thing; it would mean that CHC’s doors could remain open, keeping a vital source of healthcare and employment firmly and (hopefully) permanently in the community. But the troubles this hospital has faced are only one example of a larger trend in this country, whereby community hospitals are dramatically dwindling. USA Today reported on this trend in 2014, reporting that between 2010 and that year, 43 such community hospitals had been forced to close, going on to explain that for many, only partnering with larger healthcare systems (many of them for-profit) would allow them to remain open. 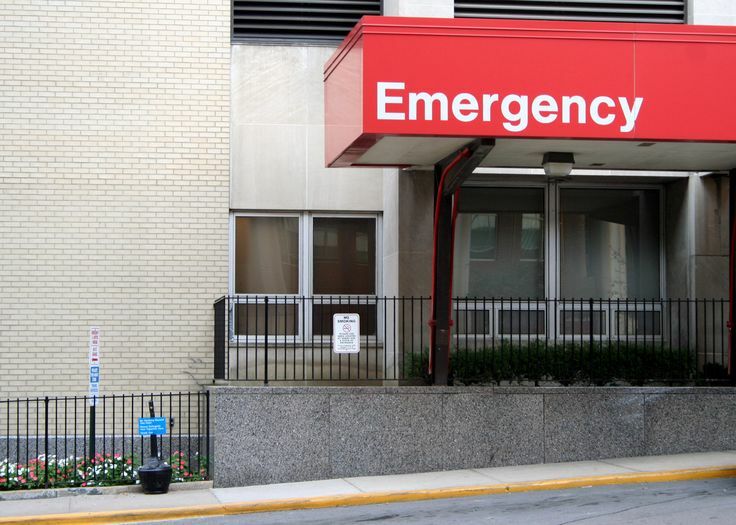 Many factors are involved in the failure of these hospitals, USA Today says, from skyrocketing expenses to low Medicare/Medicaid reimbursements and beyond. Saving these facilities, then, means that the only way to truly save our hospitals is to revamp the entire system–a process that Congress has already proved to be difficult. Measures have supposedly been placed within the Affordable Care Act to help protect small hospitals, such as ensuring reimbursements to small hospitals on things such as lab work, but it is too early to tell if these are real solutions or simply stopgaps. So what are the consequences of these hospitals closing down? Most obviously, this means that thousands will be without access to nearby healthcare, which they will most certainly sorely need. U.S. News reports that rural communities, such as Coldwater, are the most likely to suffer. They explain that 640 counties in the United States are already without quick access to hospital care, which makes up 20% of all residential areas in the country. This statistic is more frightening when you realize that with several emergency conditions, there is a very limited window of opportunity to receive treatment before a patient’s condition becomes critical. This window is three hours for strokes, for example. Now, imagine that the closest hospital to you may be forty minutes away–and then you have to deal with wait times at the ER. And if that hospital is not equipped to deal with your condition, they will have to ship you to another hospital, costing you even more time. Having a small community hospital near you improves a patient’s chance of survival, for while they may not be capable of effectively treating a stroke, they can diagnose the issue and begin treatment to stabilize their condition while transport to a larger facility is arranged. This would certainly be the case if the Community Health Center of Branch County were to close. Residents of Branch County (if starting their journey in Coldwater) would have to drive twenty minutes north to Oaklawn Hospital in Marshall, half an hour east to Hillsdale Community Health Center in Hillsdale County, half an hour west to the Sturgis Hospital in Sturgis, or 26 minutes south to Cameron Community Hospital in Angola, IN. Furthermore, few of these are capable of treating strokes and severe heart attacks, and instead stabilize the patient in preparation for transport, something Branch County residents could have received at home without an additional drive time. Of course, patients could make the drive directly to a facility rated for this kind of advanced treatment, if they’re willing to drive 45 min north to Bronson Battle Creek or an hour northwest to Borgess in Kalamazoo. This, of course, does not even take into consideration the hundreds of vital jobs that will be lost in the community were the hospital to close. In light of this, it is easy to see why there is so much apprehension around CHC’s potential deal with ProMedica–and more importantly, what might happen if it does not go through. Through Coldwater’s eyes, we can see how important these community hospitals are to the towns that they call home and how devastating their loss would be. Only time will tell if the measures placed in the Affordable Care Act and the upswing of the economy will turn the tide for many such facilities facing their own demise, but in the meantime, all they can do is soldier on, doing their best to provide for their employees and the members of the community at large whom they serve.